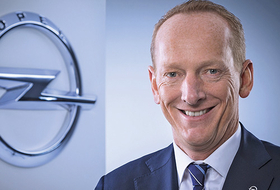 Opel CEO Karl-Thomas Neumann rejected allegations by German media and an environmental advocacy group that the General Motors unit's diesel engines use software that may breach regulations by turning off emissions controls in certain situations. The auto industry's credibility has been strained following Volkswagen Group's admission last September that it rigged diesel-engine software to pass official tests while turning off pollution controls under normal conditions. Mitsubishi Motors Corp. has since acknowledged that it manipulated fuel-economy tests, and Daimler is checking for possible irregularities at the behest of the U.S. Department of Justice. Last month, auto manufacturers, including Opel, agreed with Germany's Transport Ministry to voluntarily upgrade 630,000 vehicles in Europe to fix temperature-control setups that pushed the boundaries of regulation. At the time, German Transport Minister Alexander Dobrindt said a review hadn't found that other car models used a defeat device similar to Volkswagen's program. Spiegel and ARD reported last week that Opel used software to reduce emissions controls at a range of parameters, such as driving at speeds faster than 145kph (90 mph) and engine revolutions exceeding 2,400 times a minute for its Zafira compact minivan, with similar performance found in the Insignia midsize sedan. Opel, which said it hasn't been provided with the methods and details of the tests, gave full details about its engine software and emissions strategy to German car-industry regulator KBA last October. The company will publish further information after consulting with authorities. A meeting between Opel and the German Transport Minister is scheduled to take place Wednesday. “We've worked transparently with authorities in Germany and Europe and will continue to do so,” Neumann said.